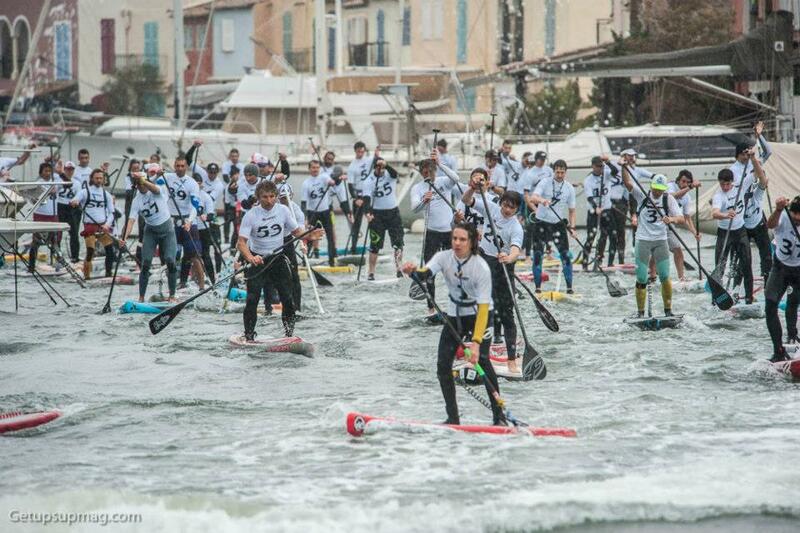 In beautiful surroundings but horrible weather, Fanatic International team rider and serial heart-breaker Olivia Piana has won the 2013 Hobie City SUP Race in France. Olivia claimed the win ahead of Celine Guesdon and Naish’s rising star Manca Notar, while Florent Dode took out the men’s race. Despite the rainy, wintery conditions, 40 paddlers braved the cold and were rewarded with an awesome paddle through the very scenic town of Port Grimaud. The pictures (thanks to Get Up SUP Mag) tell the story, so check ’em out below along with the race results. The Hobie City SUP Race is organised by La Cigale Surf Club, the same team behind the one of the biggest races in Europe, the SUP Race Cup at the end of May. That’s set to be one of the races of the year, with a whole host of international stars confirmed to attend. You can see the FULL RACE RESULTS over at SUP-Guide.com.